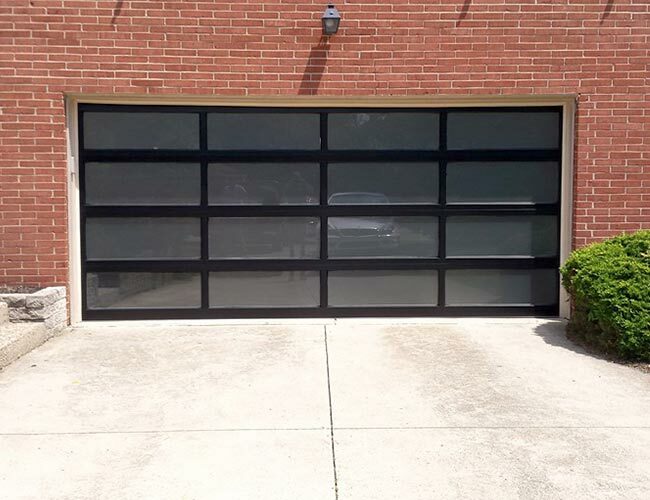 A glass panel garage door can complement your modern home. This sleek and contemporary style brings the exterior of your house to life. Offered in a variety of colors and sizes. 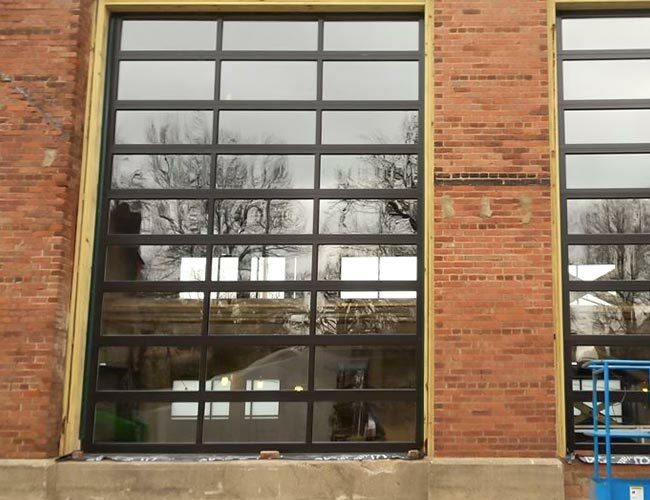 Clean lines and a modern look make this door a beautiful addition to your business. The durability and flexibility these doors offer make them functional and easy-to-maintain. Glass Bay Doors are an ideal choice for commercial use. Modern meets traditional. 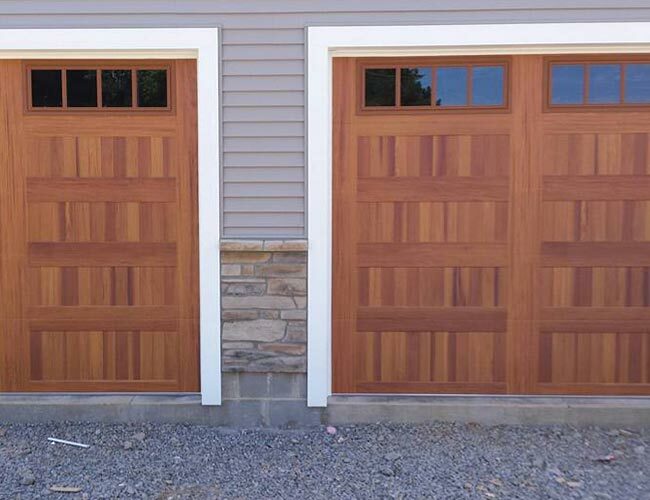 These doors offer the beauty of wood, but the durability of steel. There are many color and style options to choose from. We can find the right door for your needs. If you have multiple doors or multiple sized doors we can make sure the right size and style is selected to meet your needs. 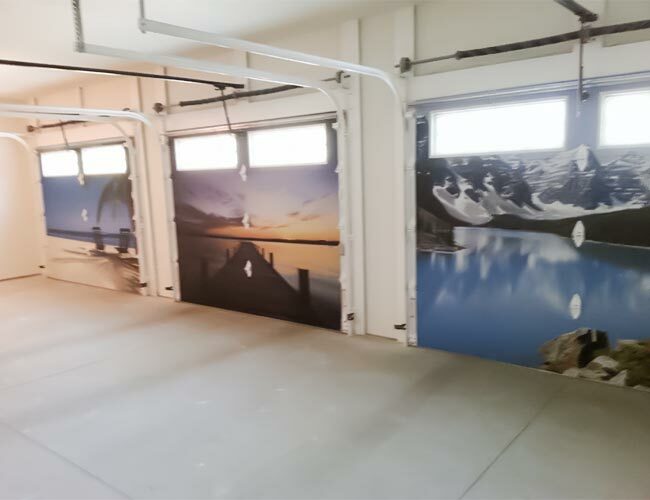 Take your garage door to the next level and turn your garage into private oasis. We can add custom graphics to make your space unique. 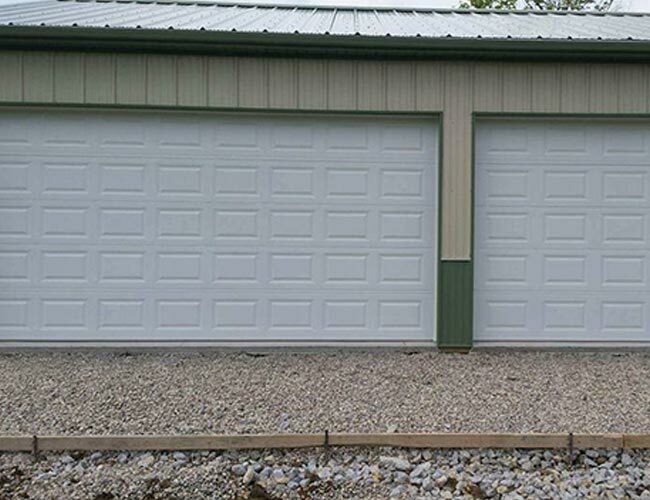 Whatever your style and need – contemporary or traditional, business or residential, we will help you find the perfect garage door. Browse our gallery of doors, or call us for a consultation. We pride ourselves in providing the best customer experience. Find the style that fits you, and allow us to guide you through the buying process.